Virginia Professional Wildlife Removal Services, LLC., is Licensed and Insured. We provide both residential and commercial services for your critical animal removal needs. Fluvanna VA Wildlife Removal & Animal Pest Control experts provide full-time nuisance animal pest control services throughout Fluvanna, Lake Monticello, Fork Union, Columbia, Scottsville, Bremo Bluff, Charlottesville, Rivers Edge, Island Creek, High View Estates, Keswick, Palmyra, Troy, Kents Store and Fluvanna County, Virginia. Our Wildlife Control Technicians can get rid of all types of nuisance wild animal critters including the removal, control and exclusion of animals such as Birds, Bats, Beavers, Bees, Squirrels, Groundhogs, Snakes, Mice Skunks, Raccoons, Moles, Opossums, And Rats. We are one of Fluvanna’s most respected and dependable nuisance animal removal companies. Some of our service areas throughout Fluvanna include Fork Union, Columbia, Scottsville, Bremo Bluff, Lake Monticello, Rivers Edge, Island Creek, High View Estates, Keswick, Palmyra, Troy, Kents Store and Fluvanna County, Virginia. We also service the Richmond and Charlottesville metropolitian areas. At Virginia Professional Wildlife Removal Services, LLC we are constantly striving to advance our education so that we may serve you better. Our Fluvanna VA Wildlife Removal & Animal Pest Control experts provide nuisance animal removal services throughout Fluvanna, VA. There are numerous wildlife species found across Virginia and Fluvanna, Fork Union, Columbia, Scottsville, Bremo Bluff, Lake Monticello, Rivers Edge, Island Creek, High View Estates, Keswick, Palmyra, Troy, Kents Store and Fluvanna County. Wildlife species in Fluvanna include Deer, Moles, Coyotes, Bees, Beavers, Rats, Groundhogs, Raccoons, Chipmunks, Bats, Birds, Pigeons, Skunks, Snakes, Mice, and Squirrels. These wildlife species can cause all types of problems by getting into homes and businesses and causing major damage. Once a wild animal has been discovered inside a home or business call one of our wildlife removal technicians to get rid of these pest animals. Nuisance wildlife control operators can trap and remove all types of nuisance animals that may be causing damage to your home or business. If these nuisance animals gain access to your house or business and the problem is not corrected in a timely manner these critters can cause structural damage, and may contaminate your attic with urine and feces. The longer an animal is left in a home’s attic or other structure the more extensive the damage becomes. Get rid of your wild animal critter problems by contacting one of our professional wildlife control technicians. We specialize in the removal and control of wild nuisance pest animals from your Fluvanna, Fork Union, Columbia, Scottsville, Bremo Bluff, Lake Monticello, Rivers Edge, Island Creek, High View Estates, Keswick, Palmyra, Troy, Kents Store and Fluvanna County, Virginia home or business. Animal removal in Fluvanna is closely regulated by Fluvanna County, and by the State of Virginia to ensure the humane and proper treatment of the wild animals of Fluvanna. Before you hire any animal removal company in Fluvanna County, you should check to make sure that each technician has the proper nuisance wildlife removal permit issued by the Virginia Department of Game and Inland Fisheries. Also, make sure that they have commercial liability insurance and a business license before they perform any type of work in your home or business. We are finding more and more nuisance wildlife removal companies that give false business address locations to make you think that they are a local company. Some also “farm” their work out to other people which increases your overall costs and may not provide you with any recourse should they provide sub-standard work. The most common animal problems in Fluvanna, Fork Union, Columbia, Scottsville, Bremo Bluff, Lake Monticello, Rivers Edge, Island Creek, High View Estates, Keswick, Palmyra, Troy, Kents Store and Fluvanna County, VA, that our animal removal experts resolve involve squirrel removal, raccoon removal, snake removal, beaver removal, rat control, possum removal, mole removal, vole removal, skunk removal, rodent removal, pigeon removal, mouse control, groundhog removal, bird removal, and bat removal. 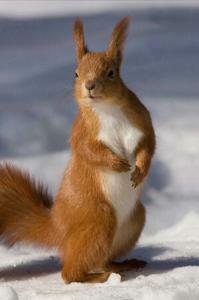 Fluvanna Squirrel Removal is a very common complaint in the Spring and Fall. Squirrels take advantage of the very close proximity of homes in Fluvanna and are often seen running and jumping from roof top to rooftop, and running across electrical power lines. Squirrel Removal and Squirrel Control in Fluvanna is increasing and should be handled as soon as a squirrel problem is discovered in your home or attic. The last thing you want to do is allow the squirrels to stay in your attic. Many home and business owners in the Fluvanna County Virginia area have a need for squirrel removal and control; however, they do not know who to call. Fluvanna squirrel removal should be conducted in a timely manner so that the squirrels do not chew your wiring and dig holes in your sheet rock as they are in the breeding and birthing process in the attic area of your home or business. Squirrels are usually tree dwelling animals, but in the Fluvanna, Virginia area these animals are often seen running along electrical power lines leading to your home and along our Fluvanna streets and roads. Their nesting should not be tolerated in your home or business. As soon as you become aware of a squirrel living in your attic or other area of your home or business you should immediately contact a professional Fluvanna squirrel removal technician. 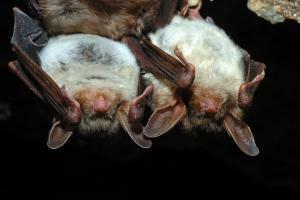 Fluvanna Bat Removal has been on the rise for the last several years. Bats have been found in Fluvanna area courthouses, Fluvanna, Virginia churches and many homes and businesses throughout the Fluvanna, Fork Union, Columbia, Scottsville, Bremo Bluff, Lake Monticello, Rivers Edge, Island Creek, High View Estates, Keswick, Palmyra, Troy, Kents Store and Fluvanna County, Virginia areas. The most common problem associated with bats in your attic is the large amount of bat guano (droppings) that builds up in your attic over a period of time. Bat droppings may contain a fungus that can lead to a potentially serious lung disease called histoplasmosis. Bat bugs are another problem that we occassionally see associated with bats living inside a home or business. Bat bugs are to bats what bed bugs are to humans. Bats should never be allowed to stay in your attic or other parts of your home or business. As soon as bats are discovered in your attic call a bat removal and bat control professional in Fluvanna immediately, especially an expert at Bat Exclusion. Bat removal in Fluvanna has been on the rise for the past 10-years and the cases in Fluvanna of bat guano and bat guano cleanup has risen significantly over the past 3 years. The average cost of bat removal in Fluvanna is relatively low in the initial stages; however, if this problem is allowed to remain, the cost of the removal of bats in your Fluvanna attic goes up significantly. There are costs associated with the bat guano removal from the attic area of your home or business that may be covered by insurance. We will work with you and your insurance company during the entire process. There is some degree of biohazard cleanup that goes along with having a bat infestation in your Fluvanna County, VA attic. Don’t allow inexperienced people or companies perform this type of work. Sometimes, a Fluvanna bat removal job done incorrectly can be worse that doing nothing at all. Many people ask us, how do I get rid of bats in my attic in Fluvanna County, Virginia? The truth is that moth balls do not work for Fluvanna bat removal. Ultrasound or ultra sonic sound devices do not work in Fluvanna bat removal, and strobe lights do not work in removing or keeping bats from entering your Fluvanna County, VA home or business. Fluvanna Skunk Removal is another common animal that is found in Fluvanna, Fork Union, Columbia, Scottsville, Bremo Bluff, Lake Monticello, Rivers Edge, Island Creek, High View Estates, Keswick, Palmyra, Troy, Kents Store and Fluvanna County, Virginia, and one in which we receive numerous complaints. The most frequent complaint is of skunks digging under the stoops or steps of your home or business to gain access to a decent place to live and raise their young. This becomes a problem if a home or business owner has a dog or cat, and the dog or cat and the skunk meet. The skunk usually wins these type of encounters. Never try to deal with a skunk removal problem yourself. 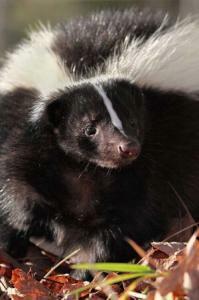 Skunks are one of the top carriers of rabies in Fluvanna. Always contact a professional skunk removal expert to handle your skunk problems. Skunks are unique animals and we have found that they do some really strange things in the Fluvanna County, VA area. One of the more interesting things that we have found specific to Fluvanna, VA is that skunks like to dig under your front porch and have skunk babies underneath your front steps. There are several other areas in the United States where this happens, but Fluvanna is one of the few areas that this is a prevalent problem. Don’t let the skunks of Fluvanna overtake your home. Give our professional animal removal technicians a call today to have your skunks removed from your Fluvanna home or business. Many people ask us, how do I get rid of skunks in Fluvanna County, Virginia? The truth is that moth balls do not work for Fluvanna skunk removal. Ultrasound or ultra sonic sound devices do not work in Fluvanna skunk removal, and strobe lights do not work in removing or keeping skunks away from your Fluvanna, VA home or business. You can however keep skunks from digging underneath your porch, deck, garage or shed by creating a barrier out of wire. Call us for details. Many people ask us, how do I get rid of skunk odors in Fluvanna County, Virginia? The best solution we have found is a mixture of baking soda, peroxide and dish detergent. Those tomato juice solutions just don’t work. Call us for details. Fluvanna Raccoon Removal is another common animal removal problem we deal with in Fluvanna, Fork Union, Columbia, Scottsville, Bremo Bluff, Lake Monticello, Rivers Edge, Island Creek, High View Estates, Keswick, Palmyra, Troy, Kents Store and Fluvanna County, Virginia. Raccoons are very smart animals and they have learned to adapt very well to the suburban environment of Fluvanna, VA. Raccoons dig through trash, dig up yards and destroy everything to obtain food. Raccoon Removal in Fluvanna is critical as the raccoons will get into the attic of your home or business and do a significant amount of damage in a short period of time. Raccoons should not be allowed to stay in your Fluvanna attic and should be removed as soon as they are discovered. Raccoons can be one of the most destructive animals in VA. Raccoons are responsible for over $2 billion dollars annually in insurance claims throughout the United States. The destruction that raccoons can do to your Fluvanna area home or business can be astronomical. The damage that raccoons do to Fluvanna area homes and businesses include: raccoons tearing up your ductwork, raccoons soiling your insulation, and raccoons causing damage to your attic vents. Raccoons also pose a threat to your family’s health by possibly bring in diseases that are easily spread to humans and your pets. Fluvanna raccoon removal is increasing and this animal should not be allowed to spend another night in your Fluvanna area home or business. 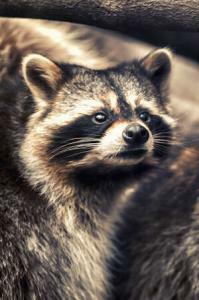 Many people ask us, how do I get rid of raccoons in my attic in Fluvanna County, Virginia? The truth is that moth balls do not work for Fluvanna raccoon removal. Ultrasound or ultra sonic sound devices do not work in Fluvanna raccoon removal, and strobe lights do not work in removing or keeping raccoons from entering your Fluvanna, VA home or business. Fluvanna Rat Removal is a very common pest problem and a common complaint received in Fluvanna, Fork Union, Columbia, Scottsville, Bremo Bluff, Lake Monticello, Rivers Edge, Island Creek, High View Estates, Keswick, Palmyra, Troy, Kents Store and Fluvanna County, Virginia. Rats and mice can be found living in attics, crawlspaces, garages, and in the basements of homes and businesses throughout Fluvanna, VA. These pests will also take up residence in sheds, barns, outbuildings and even in cars. Rats will seek any opportunity for food and shelter if access can be gained by these rodent pests. Rat control and rat removal should be initiated as soon as a rat has been discovered in a home or business. 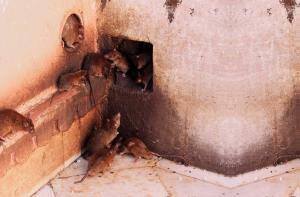 Rats are fast breeding pests and a small pest problem can quickly turn into a rat infesttation. Rats pose dangers by chewing electrical wires and on any structure which can lead to fires. Fluvanna Wildlife Professionals have the knowledge and training to get the job done quickly and humanely. Rats living in an attic or crawlspace can also contaminate the insulation with rat droppings and urine. Many people ask us, how do I get rid of rats in Fluvanna County, Virginia? The truth is that moth balls do not work for Fluvanna rat removal. Ultrasound or ultra sonic sound devices do not work in Fluvanna rat removal, and strobe lights do not work in removing or keeping rats from entering your Fluvanna, VA home or business. Fluvanna Opossum Removal specialist can minimize the damage caused to your garden and home. Opossums or possums can wreak havoc on your Fluvanna, Fork Union, Columbia, Scottsville, Bremo Bluff, Lake Monticello, Rivers Edge, Island Creek, High View Estates, Keswick, Palmyra, Troy, Kents Store and Fluvanna County, Virginia garden and sod. These rat-tailed mammals may hit even closer to home by causing damage to your house as they try to gain entry. Possums will take up residence under sheds, crawl spaces, in hot tubs and outbuildings. A shed is normally elevated off the ground and is perfect for raising a possum family. Possums are notorious for getting into crawlspaces and dying in the area around the tub or inside the insulation. Fluvanna opossum or possum removal should be initiated as soon as the animal has been discovered living in your home or business. Fluvanna is home to some very large Opossums or Possums and some exceed 20 pounds. The Possum is also called the Virginia Opossum. Opossum or Possum Removal should only be attempted by animal removal technicians who understand the dander this animal can present. Fluvanna Animal Removal experts understand this danger and have the tools and training to safely and humanely remove these very strong animals. Fluvanna animal control experts are your local professionals for Fluvanna, Fork Union, Columbia, Scottsville, Bremo Bluff, Lake Monticello, Rivers Edge, Island Creek, High View Estates, Keswick, Palmyra, Troy, Kents Store and Fluvanna County, Virginia Opossum or Possum Removal. 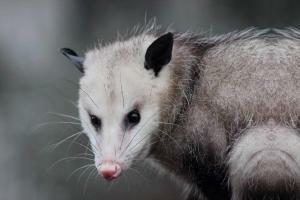 Many people ask us, how do I get rid of Opossums or Possums in Fluvanna County, Virginia? The truth is that moth balls do not work for Fluvanna opossum removal. Ultrasound or ultra sonic sound devices do not work in Fluvanna opossum removal, and strobe lights do not work in removing or keeping opossums from entering your Fluvanna, VA home or business. Fluvanna Animal Removal Services include trapping and removing of nuisance wildlife, repairing animal damage, and animal proofing existing structures that may be at risk for animal damage or entry. Other services include dead animal removal, animal trapping, wildlife exclusion, odor removal, removal and replacement of contaminated insulation, attic cleanup and restoration, animal waste removal, and pest control work. These are just a few of the more common animal removal calls we receive in Fluvanna, Fork Union, Columbia, Scottsville, Bremo Bluff, Lake Monticello, Rivers Edge, Island Creek, High View Estates, Keswick, Palmyra, Troy, Kents Store and Fluvanna County, VA. We can also handle other animal removal problems related to birds, pigeons, foxes, moles, snakes, coyotes, beavers and any other wildlife that is found in the State of Virginia. We are a locally owned and operated private company and do not deal with domestic animals such as dogs and cats. Please call your local Fluvanna, Fork Union, Columbia, Scottsville, Bremo Bluff, Lake Monticello, Rivers Edge, Island Creek, High View Estates, Keswick, Palmyra, Troy, Kents Store and Fluvanna County, Virginia Animal Control Department for dog and cat problems. Wildlife Control Services are provided throughout Fluvanna County Virginia including the areas of Fork Union, Columbia, Scottsville, Bremo Bluff, Lake Monticello, Rivers Edge, Island Creek, High View Estates, Keswick, Palmyra, Troy, Kents Store and Fluvanna, Virginia. Some of the zip codes we service include 22974, 22902, 22963, 23055, 23022 and 23084. We specialize in humane trapping techniques and complete animal pest control solutions. Basically, if you have a problem caused by the wild animals in Fluvanna, Troy, Palmyra, Charlottesville, Kents Store or Fluvanna County, Virginia Professional Wildlife Removal Services can solve it. We work with you to provide the solutions you need at a price you can afford. We partner with you to solve your animal control problems and rid your property of BATS, BEAVERS, BIRDS, BOBCATS, CHIPMUNKS, COYOTES, DEAD ANIMAL REMOVAL, DEER, FLYING SQUIRRELS, FOXES, GROUNDHOGS (WOODCHUCKS), MOLES, MUSKRATS, OPOSSUMS, OTTERS, RACCOONS, SKUNKS, SNAKES, SQUIRRELS, VOLES and other unwanted animals. Virginia Professional Wildlife Removal Services, LLC., is Licensed and Insured; and provides both residential and commercial services for all of your pesky critters. We provide residential, commercial, and industrial animal removal and animal control services for Central and Eastern Virginia. Some of our service areas in Virginia include: Chesterfield County, Goochland County, Louisa County, Fluvanna County, Orange County, Barboursville, Powhatan County, Albemarle County, Henrico County, Hanover County, Short Pump, Manakin Sabot, Mineral, Gordonsville, Keswick, Lake Anna, Lake Monticello, Hadensville, Ferncliff, Boyd Tavern, Shannon Hill, Gum Spring, Troy, Palmyra, Kents Store, Ashland, Mechanicsville, Oilville, Sandy Hook, Glen Allen, Maidens, Rockville, Manakin, Earlysville, Fork Union, Columbia, Scottsville, Bremo Bluff, Lake Monticello, Rivers Edge, Island Creek, High View Estates, Keswick, Charlottesville, and Richmond. Fluvanna Animal Removal and Wildlife Control Experts provide full-time nuisance animal control services throughout Fluvanna, Fork Union, Columbia, Scottsville, Bremo Bluff, Lake Monticello, Rivers Edge, Island Creek, High View Estates, Keswick, Palmyra, Troy, Kents Store and Fluvanna County, Virginia. Our Wildlife Control Technicians can get rid of all types of nuisance wild animal critters including the removal, control and exclusion of animals such as Birds, Bats, Beavers, Bees, Squirrels, Groundhogs, Snakes, Mice Skunks, Raccoons, Moles, Opossums, And Rats. We are one of Fluvanna’s most respected and dependable nuisance animal removal companies. Some of our service areas throughout Fluvanna include Fork Union, Columbia, Scottsville, Bremo Bluff, Lake Monticello, Rivers Edge, Island Creek, High View Estates, Keswick, Palmyra, Troy, Kents Store and Fluvanna County, Virginia. We also service the Richmond and Charlottesville metropolitian areas. Fluvanna Animal Removal Experts provide Nuisance Animal Removal throughout Fluvanna, VA. There are numerous wildlife species found across Virginia and Fluvanna, Fork Union, Columbia, Scottsville, Bremo Bluff, Lake Monticello, Rivers Edge, Island Creek, High View Estates, Keswick, Palmyra, Troy, Kents Store and Fluvanna County. Wildlife species in Fluvanna include Deer, Moles, Coyotes, Bees, Beavers, Rats, Groundhogs, Raccoons, Chipmunks, Bats, Birds, Pigeons, Skunks, Snakes, Mice, and Squirrels. These wildlife species can cause all types of problems by getting into homes and businesses and causing major damage. Once a wild animal has been discovered inside a home or business call one of our wildlife removal technicians to get rid of these pest animals. Nuisance wildlife control operators can trap and remove all types of nuisance animals that may be causing damage to your home or business. If these nuisance animals gain access to your house or business and the problem is not corrected in a timely manner these critters can cause structural damage, and may contaminate your attic with urine and feces. The longer an animal is left in a home’s attic or other structure the more extensive the damage becomes. Get rid of your wild animal critter problems by contacting one of our professional wildlife control technicians. We specialize in the removal and control of wild nuisance pest animals from your Fluvanna, Fork Union, Columbia, Scottsville, Bremo Bluff, Lake Monticello, Rivers Edge, Island Creek, High View Estates, Keswick, Palmyra, Troy, Kents Store and Fluvanna County, Virginia home or business. Animal removal in Fluvanna is closely regulated by Fluvanna County, and by the State of Virginia to ensure the humane and proper treatment of the wild animals of Fluvanna. Before you hire any animal removal company in Fluvanna, you should check to make sure that each technician has the proper nuisance wildlife removal permit issued by the Virginia Department of Game and Inland Fisheries. Also, make sure that they have commercial liability insurance and a business license before they perform any type of work in your home or business. We are finding more and more nuisance wildlife removal companies that give false business address locations to make you think that they are a local company. Some also “farm” their work out to other people which increases your overall costs and may not provide you with any recourse should they provide sub-standard work. The most common animal problems in Fluvanna, Fork Union, Columbia, Scottsville, Bremo Bluff, Lake Monticello, Rivers Edge, Island Creek, High View Estates, Keswick, Palmyra, Troy, Kents Store and Fluvanna County, VA, that our animal removal experts resolve involve squirrel removal, raccoon removal, snake removal, beaver removal, rat removal, possum removal, mole removal, skunk removal, rodent removal, pigeon removal, mice removal, bird removal, and bat removal. We specialize in humane trapping techniques and complete animal pest control solutions. Basically, if you have a problem caused by the wild animals in Fluvanna, Troy, Palmyra, Kents Store or Fluvanna County, Virginia Professional Wildlife Removal Services can solve it. We work with you to provide the solutions you need at a price you can afford. We partner with you to solve your animal control problems and rid your property of BATS, BEAVERS, BIRDS, BOBCATS, CHIPMUNKS, COYOTES, DEAD ANIMAL REMOVAL, DEER, FLYING SQUIRRELS, FOXES, GROUNDHOGS (WOODCHUCKS), MOLES, MUSKRATS, OPOSSUMS, OTTERS, RACCOONS, SKUNKS, SNAKES, SQUIRRELS, VOLES and other unwanted animals. Virginia Professional Wildlife Removal Services, LLC., is Licensed and Insured; and provides both residential and commercial for all of those pesky critters.